The Cadbury Research Library at the University of Birmingham, for Henry Reed's centenary, has very thoughtfully made available some selections from the Reed's papers on their Flickr page: Henry Reed: Behind the Scenes. There are scans of some of Reed's early writings from the University magazine, The Mermaid, photographs, and letters (slideshow). Special Collections, University of Birmingham. 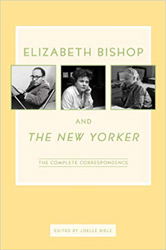 Thank you for writing; you have no idea how much one longs for letter here, even brief ones; and I should be very glad if you would always drop me a note, or get Jane to, every morning after a raid. We always know when there has been one — among our other duties is fire-watching — and it is worrying of it has been over Birmingham. whatnot and to fire at aircraft. I do not think the management of a tank is included in the course, but pretty well everything else is. voluntary deduction which they make; and I don't seem to spend even £1. I am still too tired to go out much at night, the beer here is undrinkable and I am having to give up smoking, as my lungs will not stand the strain of smoking and the other things they are called upon to do. So, I am comparatively well off; I should be glad of some more cheques: as this will be my last chance of paying much to my debtors I thought I'd better pay them all a little bit. This, I'm afraid involves a lot of cheques, and if you could let me have another half dozen, it would greatly help me. I should be glad to have the New Statesman, if that is possible; it comes out on Friday, and if I got it by Saturday that would be marvelous. and against Germany also; Russia has fought, and largely won, her battle against capitalism. She is only fighting Germany now. That is why she may win; without that earlier victory, her enormous size would avail her nothing in these days. And when she is secure against fascism (which isn't confined to Germany and Italy) perhaps the horrible side of Russia will fade away more rapidly than now seems possible. week, since France failed us; I suppose he hadn't heard about Russia) and they may lead him astray, which could happen very easily, I think, knowing Joe. If you think telling him about the O.D. would shock him into remorse, do so; I think this would be the best way. It means great inconvenience to you, always to shoulder Joe's burdens like this, but eventually it ought to aruse his conscience. The time for a general settlement will be after the war is over; everybody will be so shatteringly poor then, that things will probably settle themselves, even overdrafts. The enclosed is a present (not a repayment — not yet) from me; I am keen on its being divided thus, and thus only: 5/- for mother (for her birthday), 1/6 for Jane (because why should she have any more than that) and 13/6 for you (to be spent as "pocket-money"
on oddments, meals and so on, because by now you ought to be learning what it feels like to have 13/6). Please do this arrangement for me, as faithfully as if it were a will. All my fondest love to you all. 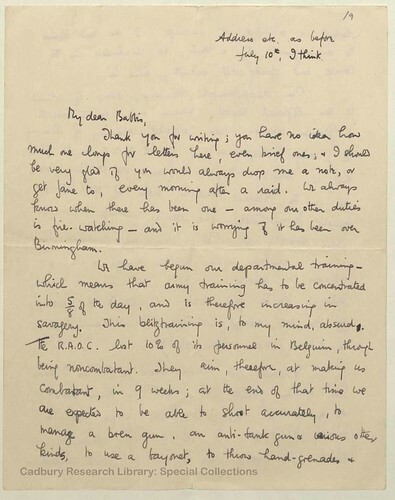 I hope to find time to transcribe more of these letters from Henry. Click here to see the University of Birmingham Special Collections' catalog record for Henry Reed's letters to his family. Maggs Bros., Ltd., is a London-based rare book and manuscript dealer, in business for over a century and a half. 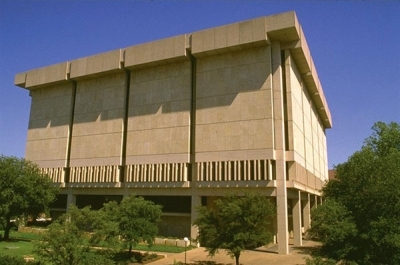 Here, in their inventory, is a listing for catalogue 1446, "Books from the Library of Douglas Cleverdon, 1903-1987." Cleverdon was a small press publisher and BBC radio producer. 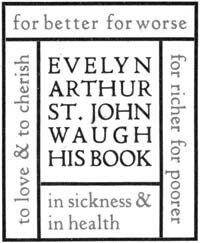 If you are a font-fanatic, you might be interested to know that Gill Sans, designed by Eric Gill, was originally created for the signboard over Cleverdon's bookshop in Bristol. Among his credits as a radio producer, Cleverdon was responsible for the adaptation of David Jones's In Parenthesis (1948); Henry Reed's Italia prize-winning drama, Return to Naples (1950); Dylan Thomas's Under Milk Wood (1954); as well as all the plays in Reed's seven-part Hilda Tablet sequence (1953-1959). All in all, Cleverdon produced over two hundred programs for the BBC. There's a fine article by Alex Hamilton on Cleverdon's achievements, "The Third Man," in The Guardian from November 20, 1971, which accompanied a profile on Henry Reed for the publication of the Hilda plays. 54 REED (Henry). Returning of Issue. Together with 23 TLS and ALS from Reed, predominantly to Douglas but with a couple to Nest and one to their elder son Lewis. Mostly in the mid 1960s and about radio drama and poetry by Henry Reed and the BBC but with 7 from 1950-51, also about Reed’s radio work. One is in the character of the spinster "Emma Titt-Robbins", Tablet was the protagonist of Reed’s satire The Private Life of Hilda Tablet, broadcast in 1954. The catalogue also includes Cleverdon's personal, inscribed copy of Reed's poems, A Map of Verona. I don't know if anyone snapped up the Reed manuscripts and letters back in 2010, but if I had £4000 pocket change, I would donate them to the University of Birmingham's Special Collections, to go with rest of Reed's papers and manuscripts. fonds (fôndz; Fr. fôn) n. the entire body of records of an organization, family, or individual that have been created and accumulated as the result of an organic process reflecting the functions of the creator. I work in a library, albeit in a low-level administrative capacity, and I pride myself on knowing the lingo. But I've never come across this term before. Probably because it's been adopted from the French, meaning "foundation" or "groundwork"; a lace-making term. In the archival sense, a fonds is a meta-collection made up of smaller collections of papers and works, all based uponor originating froma single source or author. Reed, Henry. 1 in, 1963, als. Includes ts. of poem, "Movement of Bodies" by Reed. 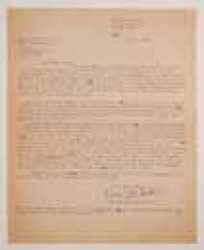 With the abbreviations unabbreviated, that translates into: "From Henry Reed: one incoming letter dated 1963, handwritten and signed, which includes a typewritten copy of his poem, 'Movement of Bodies'." Robin Skelton (1925-1997) was a poet and critic, and a professor of English literature at the University of Victoria, British Columbia. 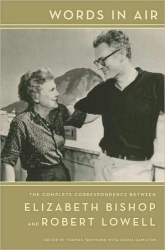 We know him primarily for editing two anthologies which include Reed's poems: The Poetry of the Thirties (Penguin, 1964), and The Poetry of the Forties (1968). It's easy to imagine that Reed's letter pertains to his inclusion in either anthology, but the typescript of "Movement of Bodies" is problematic: it doesn't appear in either book. The Poetry of the Thirties has an early poem of Reed's, "Hiding Beneath the Furze," and the Forties anthology contains "Naming of Parts," "Judging Distances," "Unarmed Combat," and a lesser-known poem, "The Wall." Perhaps there's something interesting here, or perhaps Skelton just declined to include a fourth Lessons of the War poem. A heartbreaking turn of events appeared this evening, in Michael Millgate's Letters of Emma and Florence Hardy (Oxford: Clarendon, 1996). In a letter dated December 7, 1936, Florence Hardy (then aged 57) mentions 'A young man from one of the universities visiting me a few weeks ago said that all the stories one heard were amusing yet the time might come when the nation would be tired of a comic Royal Family.' Millgate notes this "young man" was none other than Henry Reed. In 1936, Reed had graduated with an MA from the University of Birmingham, and he was compiling material and interviewing contemporaries for his planned biography of Thomas Hardy. max gate, | dorchester, | dorset. I have been thinking very long & seriously about the book we discussed when you were here, and the more I think about it the more impossible it seems. My own memory is not good & becomes worse & worse, & probably I have exaggerated in my own mind much that was told me, &, as for Miss [Katherine "Kate"] Hardy, she is an old lady in bad health, who has, during the last days lost her nearest surviving relative [cousin Polly Antell] & she will not see any stranger, nor will the doctor allow her her to do so. Moreover she would refuse to discuss any member of her family with anyone. It is possible that I built up a great deal on a few careless remarks from prejudiced persons. I should be very sorry to put into print more than is in my biography as there is not a scrap of documentary evidence to go upon. Also, with regard to a stage version of 'The Dynasts'I find that my husband left very special instructions about that, & any performance by amateurs, except the O.U.D.S [Oxford University Dramatic Society], is prohibited. I am sorry to be so negative on both these points, but I hope you will understand. Reed's literary hopes and dreams were swept away in the span of two small paragraphs. 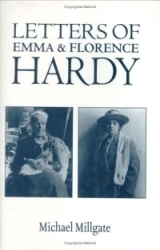 According to Millgate's notes, the project Florence deems "impossible" was a biography of Thomas Hardy which Reed had suggested, to be based on his conversations with Florence and Hardy's cousin Kate. And apparently Reed was also hoping to adapt Hardy's epic verse-drama on the Napoleonic Wars, "The Dynasts," into a stage play, perhaps for the Highbury Little Theatre group, in Birmingham.